That’s the word that comes to mind when I think of jellyfish. Aren’t they the coolest? I am always fascinated by their glowing colors and calming movements. Our challenge theme for this month is newspaper. 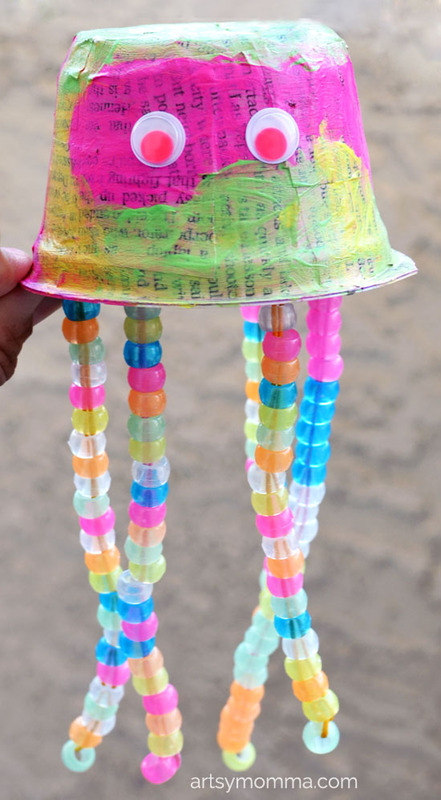 We incorporated it into a recycled yogurt cup craft – an adorable glow-in-the-dark jellyfish! *This post contains affiliate links. 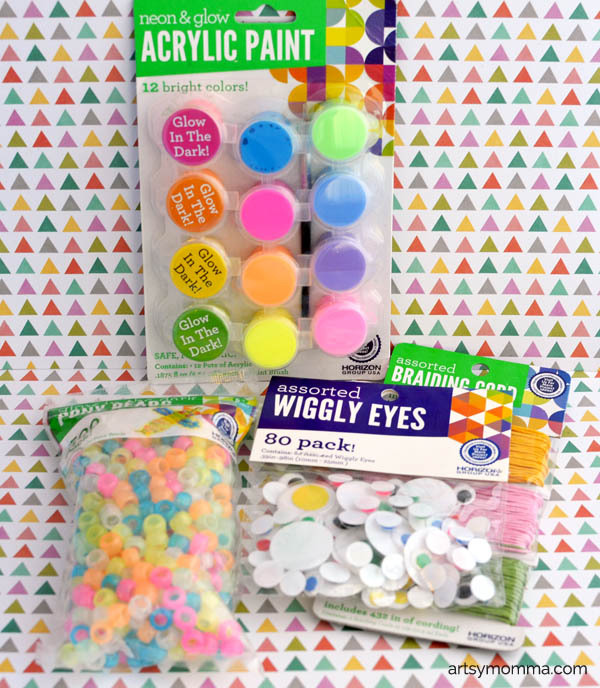 We also received the glow-in-the-dark beads, paint, wiggly eyes and threading cord free from Horizon Group. Please read our full disclosure policy here. Cut strips of newspaper. Flip the yogurt cup upside-down. Paint a coat of Mod Podge (or use watered down glue). Place the newspaper on top of the glue adding more glue over the top. Repeat until all is covered and let dry. 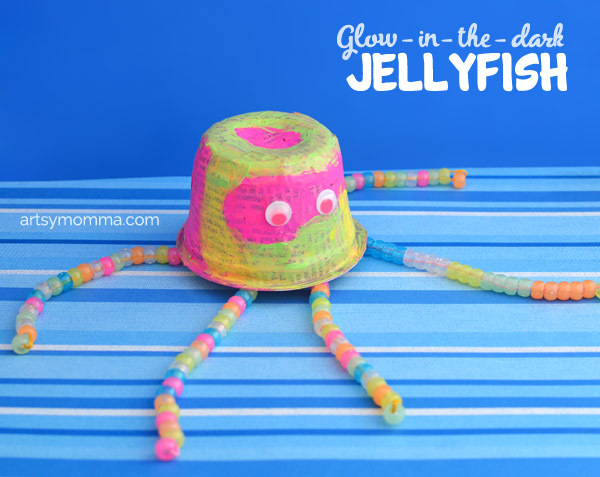 While the newspaper is drying, make the glowing jellyfish legs! 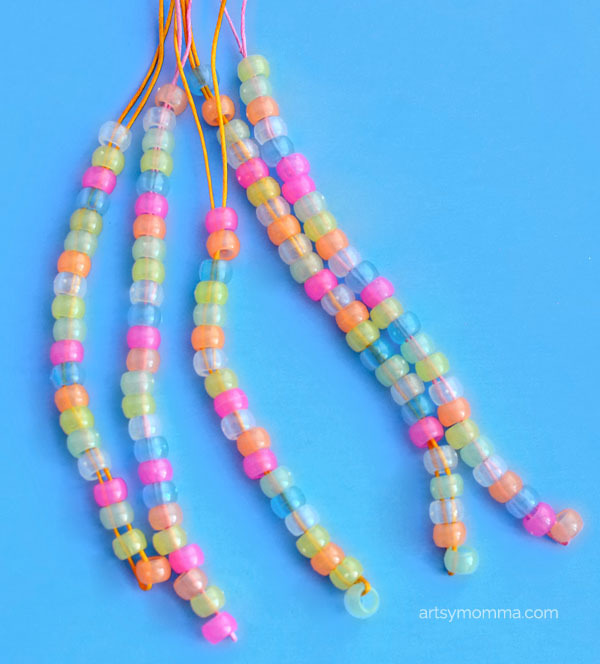 All you need to do is lace beads through the cord. I started the tentacles for Little Sister by placing one bead on and then folding the thread in half. Then I placed the next bead so both ends went through the hole. Little Sister was able to do it with the rest. She had a blast making patterns and sorting the beads. Make sure to leave about an inch near the top for taping to the yogurt cup. 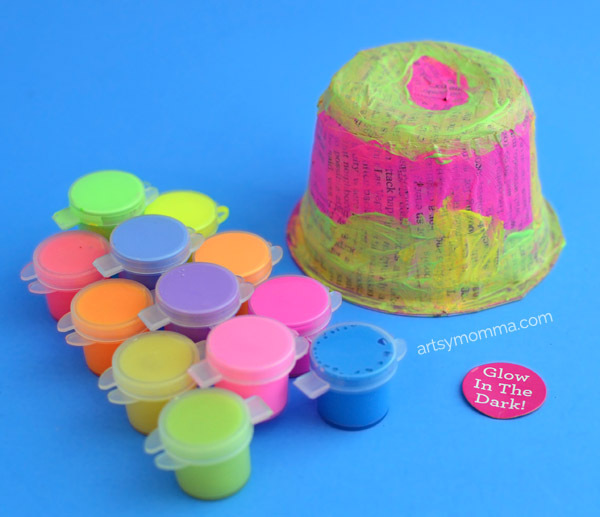 Paint using the glow-in-the-dark paints. Let dry. 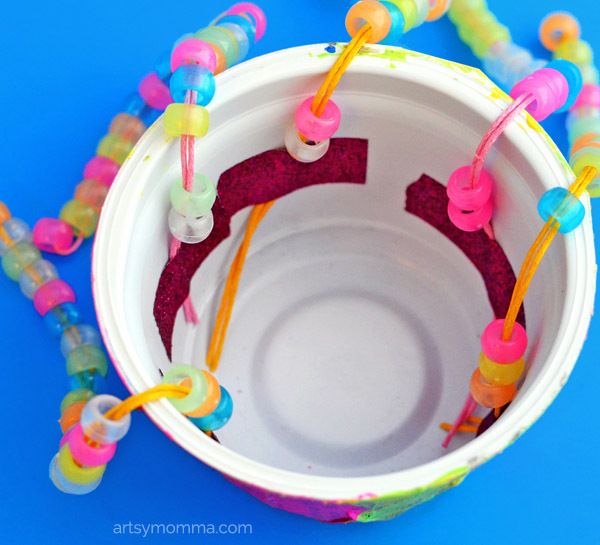 Flip the cup right-side up and add the jellyfish tentacles by taping the ends inside. Flip back over again and glue on wiggly eyes. Now you have an adorable jellyfish that glows-in-the-dark! Little Sister loves to use it for pretend play. This month’s challenge prompt is newspaper. 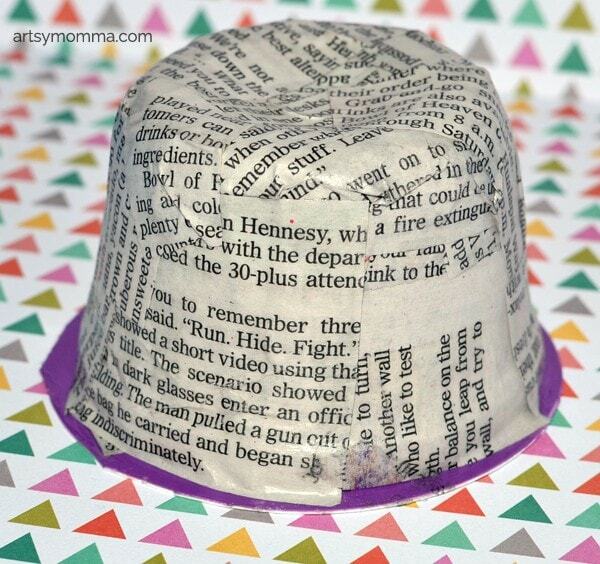 How would you incorporate newspaper into a fun kids craft? 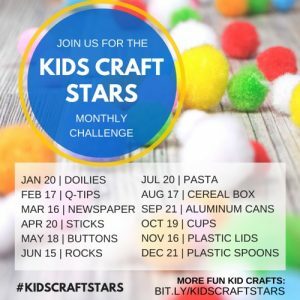 Use the hashtag #kidscraftstars on Instagram so we can see your awesome creations. 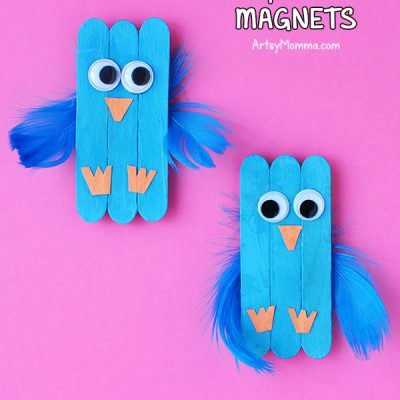 See what fun newspaper art projects the rest of our crafty friends came up with after the photo! 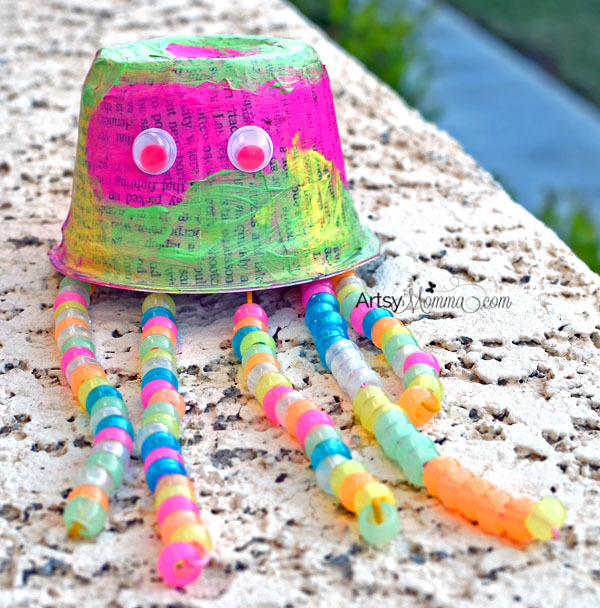 If you enjoyed making this glow-in-the-dark jellyfish craft, you may like this toilet paper tube octopus and rocking shark craft! ADORABLE!!! 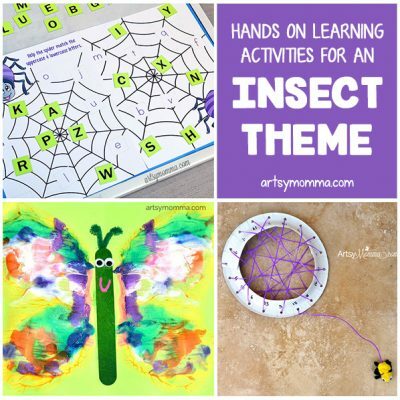 What a fun way to incorporate glow in the dark elements. My daughter is crazy about ocean crafts and this one is perfect.